Reserveage Nutrition serves the health benefits of bone broth in natural flavors and individually wrapped broth bags for your convenience. 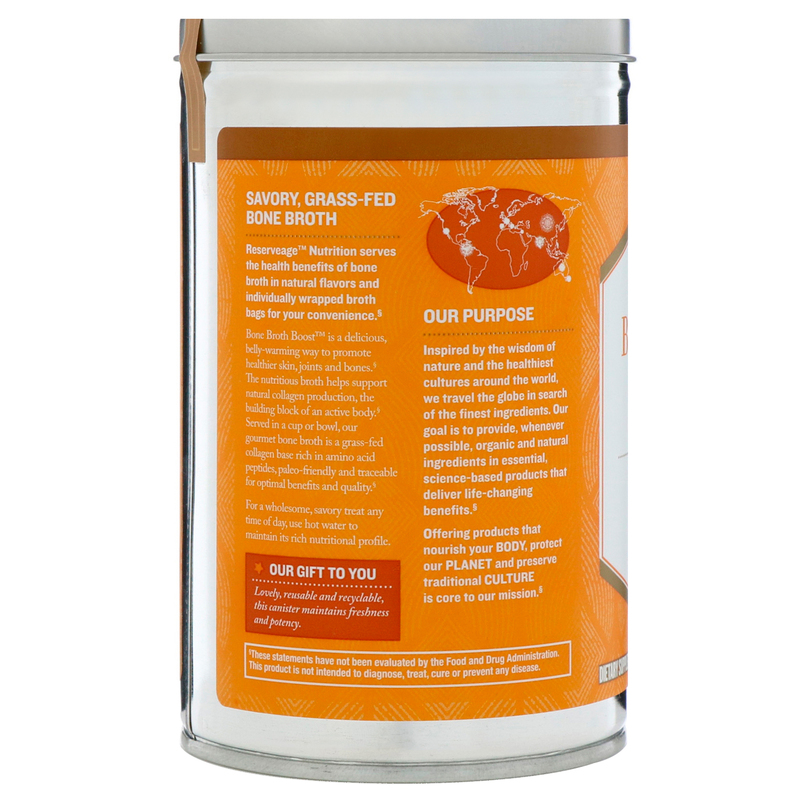 Bone Broth Boost is a delicious, belly-warming way to promote healthier skin, joints and bones. 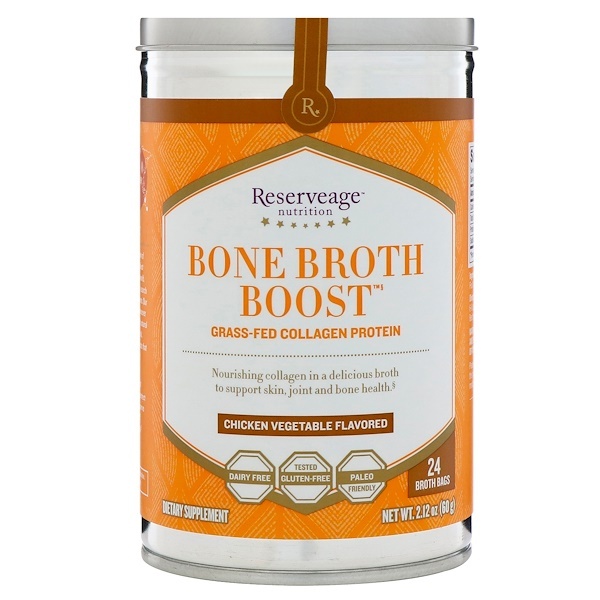 The nutritious broth helps support natural collagen production, the building block of an active body. 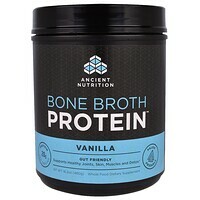 Served in a cup or bowl, our gourmet bone broth is a grass-fed collagen base rich in amino acid peptides, paleo-friendly and traceable for optimal benefits and quality. For a wholesome, savory treat any time of day, use hot water to maintain its rich nutritional profile. Inspired by the wisdom of nature and the healthiest cultures around the world, we travel the globe in search of the finest ingredients. Our goal is to provide, whenever possible, organic and natural ingredients in essential, science-based products that delivery life-changing benefits. Lovely, reusable and recyclable, this canister maintains freshness and potency. 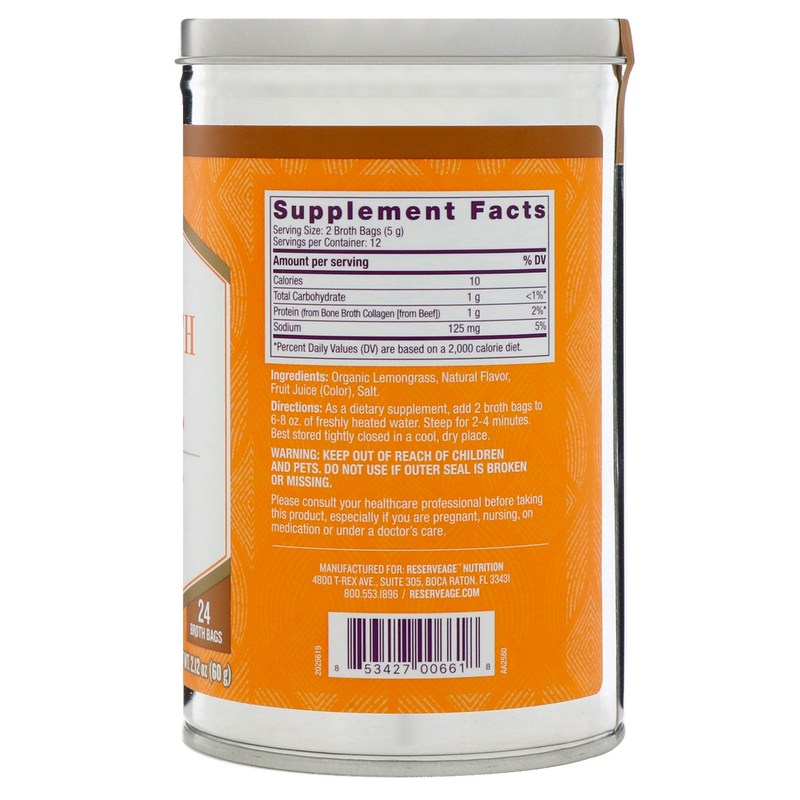 As a dietary supplement, add 2 broth bags to 6-8 oz. of freshly heated water. Steep for 2-4 minutes. Organic lemongrass, natural flavor, fruit juice (color), salt.